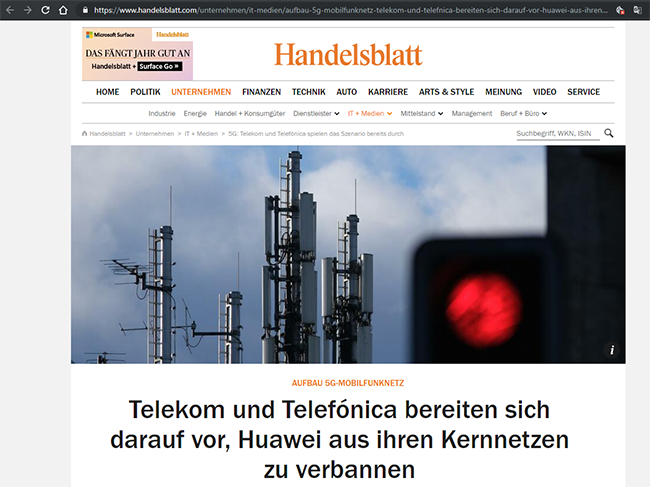 The Bundesnetzagentur, which is the German regulatory office in charge of telecommunications, published additional security requirements for telecommunications networks and services without banning Huawei or other Chinese vendors. Systems may only be sourced from trustworthy suppliers whose compliance with national security regulations and provisions for the secrecy of telecommunications and for data protection is assured. Network traffic must be regularly and constantly monitored for any abnormality and, if there is any cause for concern, appropriate protection measures must be taken. Security-related network and system components (critical key components) may only be used if they have have been certified by the Federal Office for Information Security (BSI) and undergone IT security checks by a BSI-approved testing body. Critical key components may only be sourced from trustworthy suppliers/manufacturers, ie those that can provide assurance of their trustworthiness. Security-related network and system components (critical key components) may only be used following an appropriate acceptance test upon supply and must be subjected to regular and ongoing security tests. The components that are security-related (critical key components) will be defined by the BSI and Bundesnetzagentur by mutual agreement. Only trained professionals may be employed in security-related areas. Proof must be provided that the hardware tested for the selected, security-related components and the source code at the end of the supply chain are actually deployed in the products used. When planning and building the network, "monocultures" must be avoided by using network and system components from different manufacturers. Where system-related processes are outsourced, only professionally competent, reliable and trustworthy contractors may be selected. Adequate redundancy must be available for critical, security-related network and system components (critical key components). 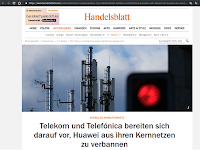 "We revise the security requirements on a regular basis in light of the current security situation and technological developments," explained Jochen Homann, Bundesnetzagentur President. "Security requirements apply to all network operators and service providers, irrespective of the technology they deploy. 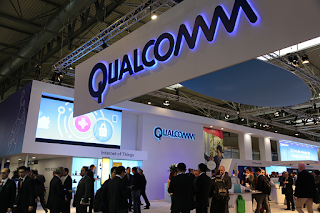 All networks, not just individual standards like 5G, are included." Deutsche Telekom managed to keep growing throughout 2018, with revenue up by 0.9 percent to 75.7 billion euros, representing organic growth of 3.1 percent. Adjusted EBITDA rose by 5.0 percent to 23.3 billion euros, and free cash flow increased by 13.7 percent in the full year to 6.2 billion euros. The figures exceed the carrier's financial guidance. The DT Group’s CAPEX increased to a record level with spending before expenses for mobile spectrum reaching 12.2 billion euros. This takes the investments made by the Group worldwide in the last four years to more than 46 billion euros, around 21 billion euros of this in Germany. In Germany, of branded mobile contract customers, 50.7 percent now use product packages combining mobile communications and fixed network, compared with 41.7 percent a year earlier. The number of MagentaEINS customers rose to 4.3 million as of the end of the year, up 17.5 percent from the end of December 2017. In Germany, the fiber-optic build-out, which has been driven forward year after year, is resulting in a steady rise in customer numbers. 12.2 million customers now use a fiber-optic line, up more than 27 percent compared with the end of 2017. About half of branded consumers in the broadband business are already benefiting from the high speeds of fiber-optic lines. 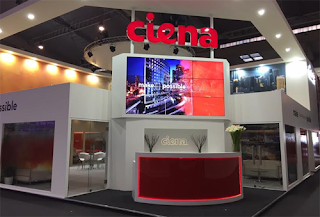 While revenue remained almost stable, falling just 1.1 percent to 21.7 billion euros, adjusted EBITDA in the Germany segment increased by 2.4 percent to 8.6 billion euros. The first-time application of the new accounting standard IFRS 15 had a negative impact on revenue and a positive effect on adjusted EBITDA. T-Mobile US’ total revenue grew by 6.8 percent in 2018 to 43.1 billion U.S. dollars. At the same time, adjusted EBITDA rose by 13.6 percent to 11.9 billion U.S. dollars. In other European markets, revenue increased by 1.5 percent on an organic bases in the full year, and adjusted EBITDA by 1.8 percent. Due to the first-time consolidation of UPC in Austria, the increases in the reported figures were even higher. Revenue increased by 2.6 percent in 2018 to 11.9 billion euros. Adjusted EBITDA rose by 3.5 percent to 3.9 billion euros. 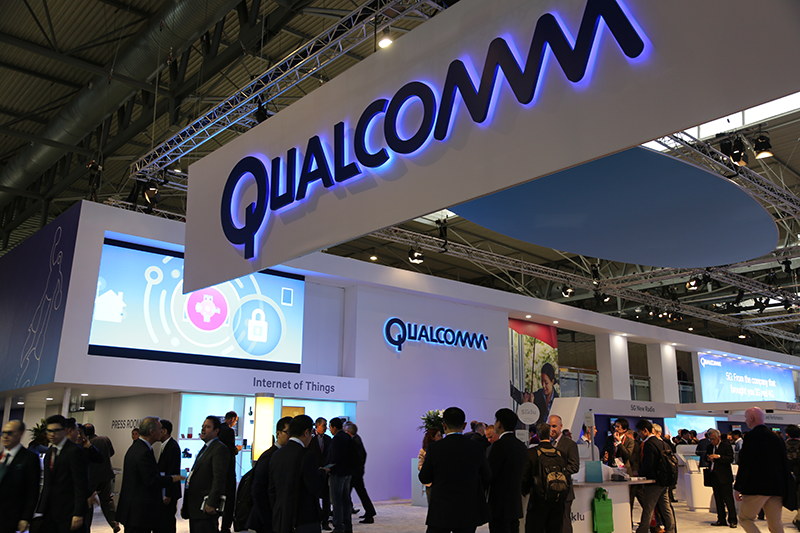 Qualcomm posted security bonds totaling EUR 1.34 billion, which were required for Qualcomm to be able to enforce the remedies ordered by the Court on December 20, 2018, after the Court found that Apple is infringing Qualcomm’s patented power savings technology used in smartphones. Apple was ordered to cease the sale, offer for sale and importation for sale of all infringing iPhones in Germany. The Court also ordered Apple to recall infringing iPhones from third party resellers in Germany. 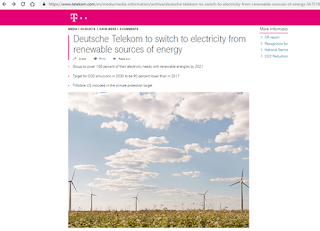 Deutsche Telekom announced the recent commissioning of nearly 300 new mobile base stations in Germany. 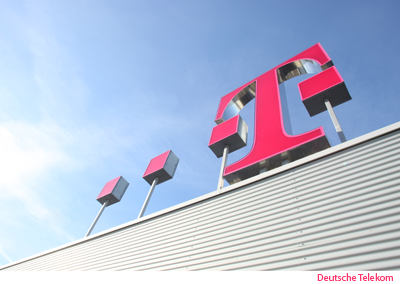 Deutsche Telekom said an 163,000 additional customers can now access its LTE network. Population coverage increased by 0.2 percentage points to the current 94.4 percent. Deutsche Telekom also announced plans to increase number of mobile base stations in Germany from 27,000 in 2017 to 36,000 in 2021. 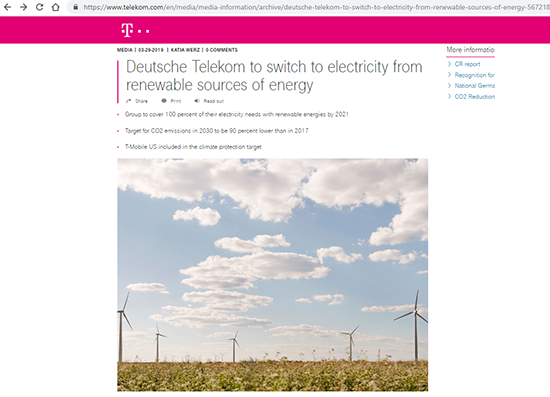 Deutsche Telekom's T-Systems division is undergoing a major restructuring with the aim of saving 600 million euros in three years through cost cuts and a reduction in its workforce. Around 4,000 jobs are to be relocated and 6,000 cut worldwide. 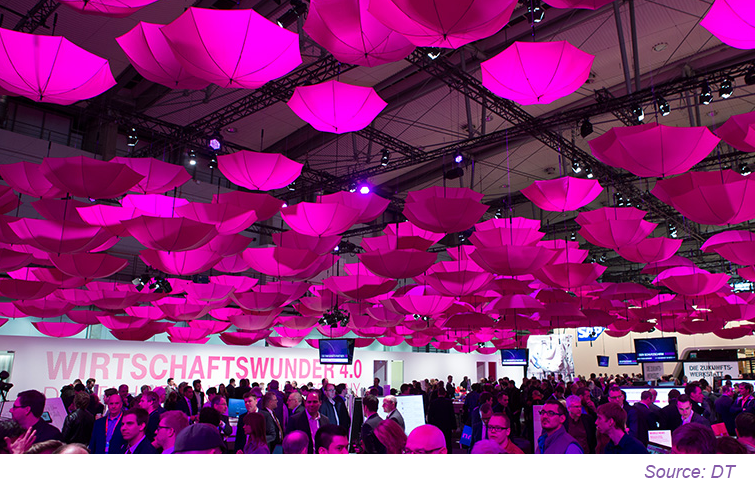 T-Systems currently employs around 37,000 people worldwide, 17,800 of them in Germany. There are four large-scale delivery centers worldwide (in Germany, Slovakia, Hungary and a newly formed center in India). T-Systems will increase its investments in growth areas, including Internet of Things (IoT), Cloud, SAP, security, digital solutions, toll collection and services for the public sector. T-Systems CEO Adel Al-Saleh states "Our strategy is in place: We are aligning ourselves to eleven portfolio units, we have initiated four change initiatives and are now implementing the plans," explains Al-Saleh. "This will turn T-Systems into a digital service provider for our customers." Deutsche Telekom confirmed plans to lay 60,000 kilometers of optical fiber in 2018. This compares to 40,000 kilometers laid in 2017. 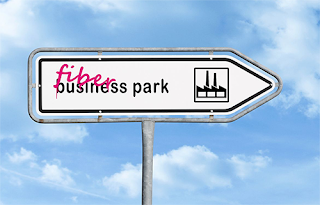 Telekom's full fiber-optic network now measures 455,000 kilometers -- the largest in Europe. It would wrap around the Earth ten times. Telekom calculates that it costs between 50,000 and 150,000 euros to lay a kilometer of optical fiber cable. 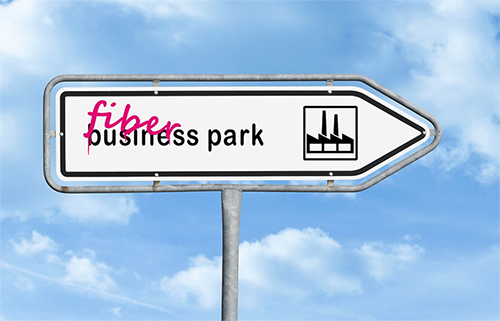 Deutsche Telekom kicked off a fiber-optic build-out in the port area of the Free and Hanseatic City of Hamburg. The rollout will bring fiber connections to an estimated 1,000 businesses in the area. The effort will involve laying more than 80 kilometers of fiber-optical cabling and installing 28 distribution cabinets. longer just a vision for our city: it’s a reality. The on-going expansion needs to make quick progress. Business parks and the Port area are particularly important in this effort to ensure that Hamburg remains an ultra-modern, highly future-ready business and industrial location. 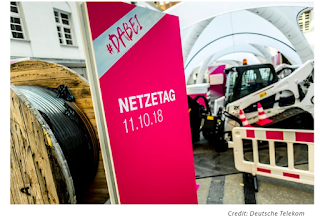 We welcome the fact that Deutsche Telekom too is driving on with the fiber-optic build-out in Hamburg,” says Frank Horch, the Hanseatic City’s minister for economy, transport and innovation. 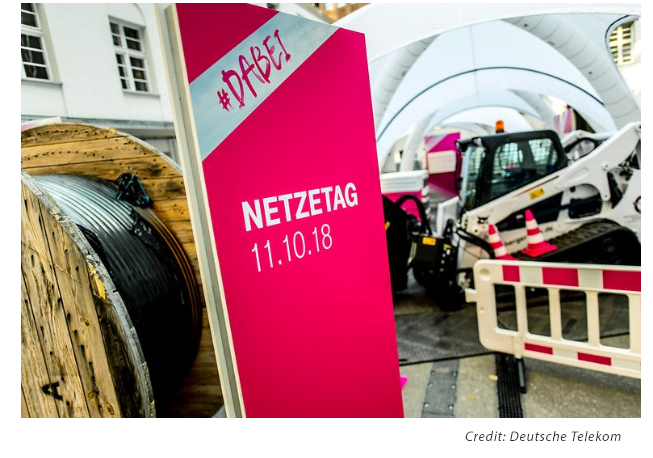 Deutsche Telekom also noted that more than 832,000 households across Germany are now eligible for 100 Mbps service thanks to its expanded use of vectoring technology over its copper network.